Atlantic Media is selling its digital business news site Quartz to a little-known Japanese media company. Tokyo-based Uzabase will pay between $75 million and $110 million for Quartz, depending on how much revenue the site makes over the rest of this year, it said in a statement. Uzabase was founded 10 years ago by two investment bankers and an IT consultant who built their own corporate data service. The company branched into the media industry in 2013, launching business news app NewsPicks. The news aggregation platform has since attracted more than 3 million users, and Uzabase says close to half of NewsPicks' revenue comes from subscriptions, which cost $15 per month. The company teamed up with News Corp's (NWSA) Dow Jones to bring the app to the United States last year. Now it's aiming to expand its international operations with Quartz, which made a name for itself with its digital-only approach to business news, focusing on readers who get their information through mobile devices and social media. The media industry has increasingly come under pressure from tech companies like Google (GOOG) and Facebook (FB), which have a powerful grip on the digital ad industry. But Quartz says it has achieved success through its approach to "native advertising," in which brands sponsor articles and products rather than just paying for regular display ads. The site said it is on track to increase advertising revenue by as much as 35% this year. The digital products Quartz currently offers. Under the Uzabase deal, Quartz will seek to make money from other areas, such as subscriptions. 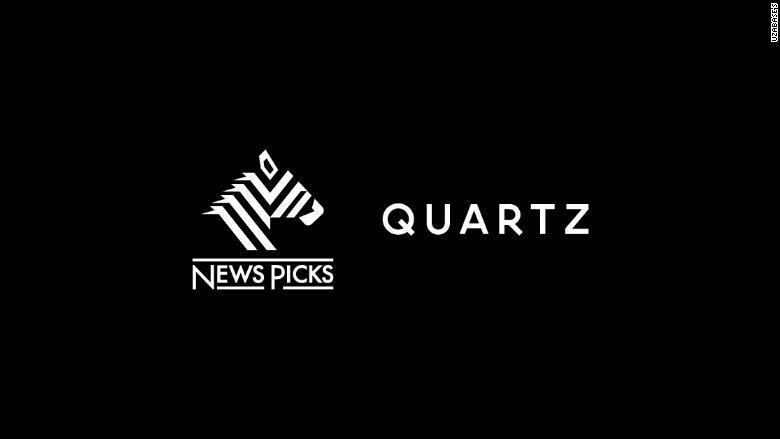 As part of the acquisition, Quartz will assume responsibility for the English-language version of NewsPicks. "We expect our existing products to remain free, but are very focused on also providing premium content and services alongside them," Quartz editor in chief Kevin Delaney and publisher Jay Lauf wrote in a memo to readers Monday. Quartz will remain headquartered in New York, its leadership will stay the same and it will continue operating its handful of offices in the United States and overseas, the companies said. Quartz has several digital products, including its website, mobile app, email newsletters and video content. 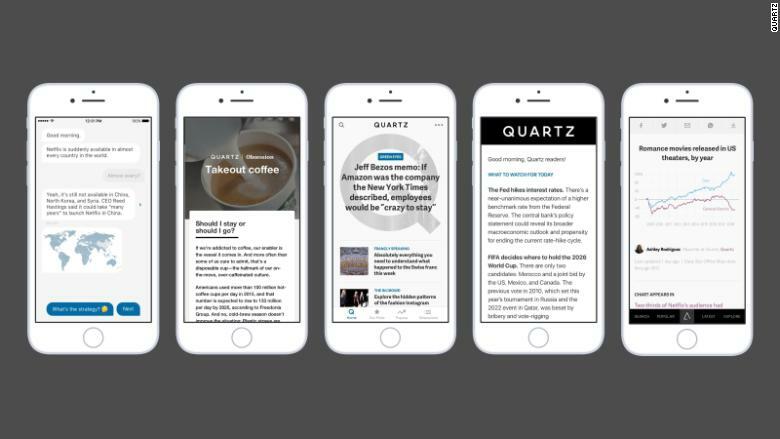 Quartz was "truly the first new media company to successfully combine quality journalism with mobile technology," NewsPicks CEO Yusuke Umeda said in a press release. "I am very excited to enter the next chapter of NewsPicks's growth with a company and team that I respect so much," he added. Uzabase said the deal is expected to close in the next 30 days. The sale of Quartz to a Japanese company comes three years after the purchase of the Financial Times by Japanese publishing group Nikkei.